It’s been such a long time since I completed a project! I think it was Christmas!! I actually finished this little Dresden about a year ago! 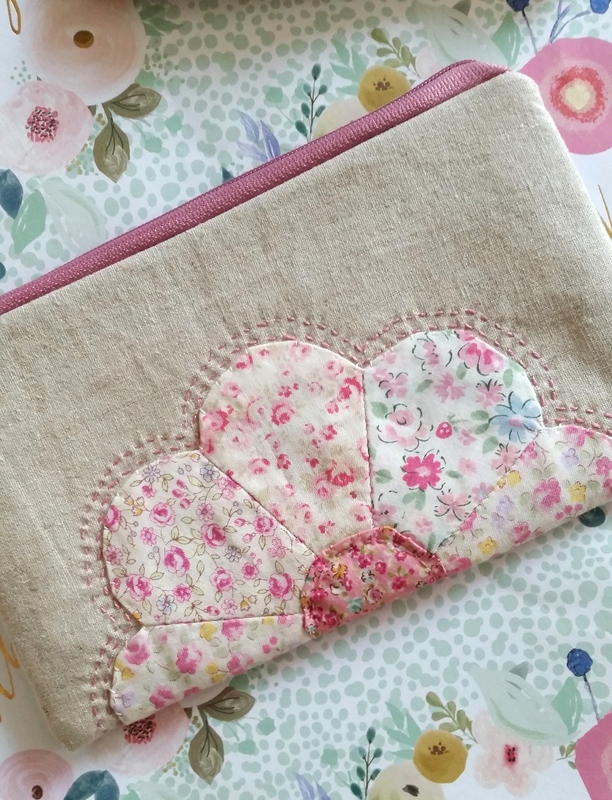 It was the first bit of sewing I was able to do after having Mabel. I mentioned here before that I had terrible carpal tunnel syndrome during the last few months of my pregnancy which made it almost impossible to hold a needle. The sensation lasted for a while after she was born too. Not that I had time to sew when she first arrived! I remember feeling so pleased with myself when I finished it, I was getting ‘me’ back a little. Unfortunately it sat sadly in my wip pile all this time. I wasn’t entirely sure what to do with it, and thought maybe a pot holder. 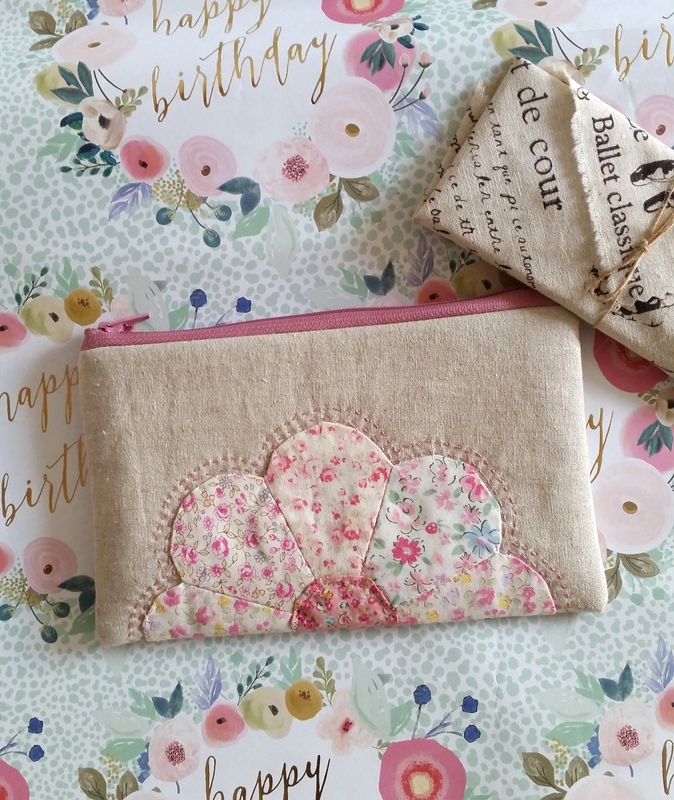 It was only a couple of weeks ago and I thought how it would make a lovely little purse! It is my mum’s birthday today and so I decided it would make a nice little gift for her. If you follow me on Instagram you will have seen my progress. 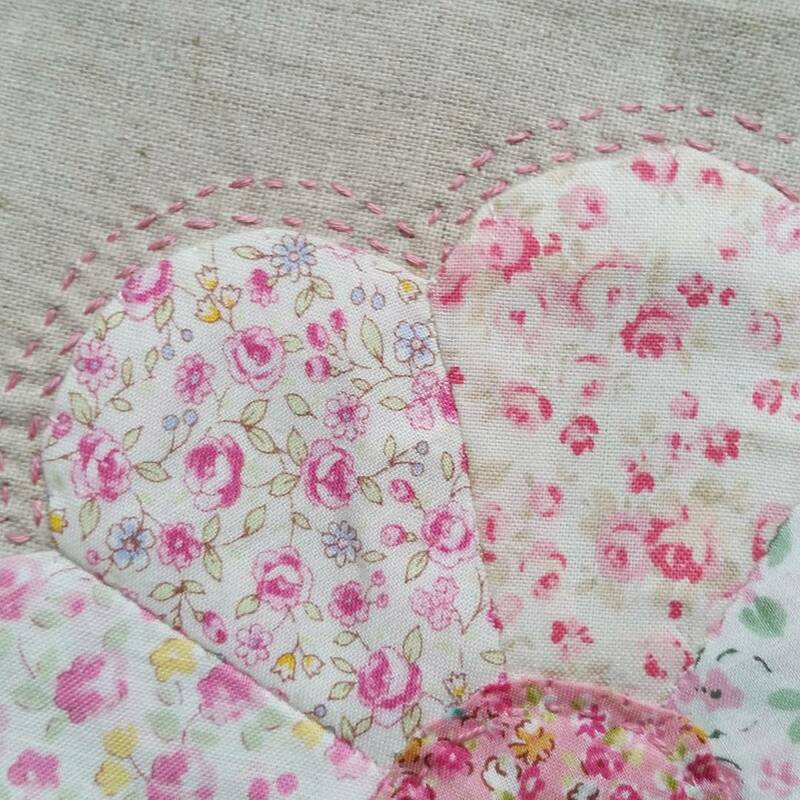 I appliqued it onto some beautiful Japanese linen and then added some hand quilting. Anyway I am pleased with the final result, if I’m allowed to say so it’s so pretty. I may have to make one for myself! I’m looking forward to giving it her, I hope she likes it! 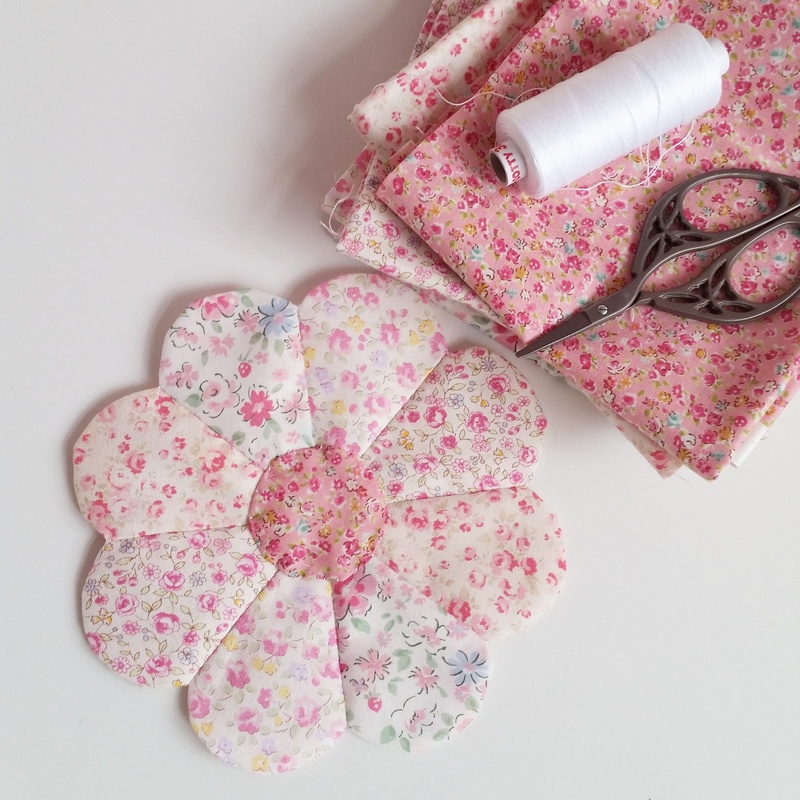 She’s a fellow EPP (English paper piecing) addict so I’m wondering if it will hold some of her hexies when she has to go to the hospital for her treatments. I also got her a lovely pair of Zakka style scissors like the ones in the picture above. Look how they were packaged when they arrived! I don’t need to wrap them, just perfect!